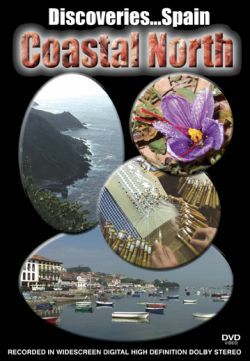 Basque country�s spectacular scenery, Frank Geary designed Guggenheim museum in Bilbao, community of San Sebastian; 3,000 year old dolmans, lace makers of Camarinas; commercial fishing; and harvesting world�s most expensive spice, Saffron. A scenic adventure exploring some of the Basque country�s most spectacular scenery, the remarkable Frank Geary designed Guggenheim museum in Bilbao; the resort community of San Sebastian; 3,000 year old dolmans; the famous lace makers of Camarinas; commercial fishing; and a visit to the harvest fields of the world�s most expensive spice, Saffron. Filmed in 2003 by directors Jim and Kelly Watt. This film includes Spanish narration.